Keeping up to date with scientific discoveries about New Zealand’s origins can be a bit hit and miss. Think about what you remember from school or nature documentaries you’ve seen. 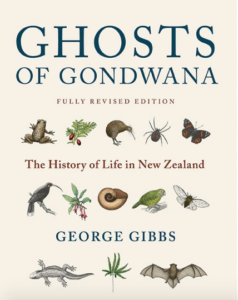 Like me, you might have had the idea that our weird and wonderful wildlife was all on board New Zealand when it split from Gondwana. The term “Moa’s Ark” made popular by David Bellamy reinforces that idea, suggesting that the land was a boat on which animals sailed away. Scientific advances however have enabled scientists to have a much more nuanced understanding of New Zealand’s origins – and of the fauna and flora that we identify with New Zealand. 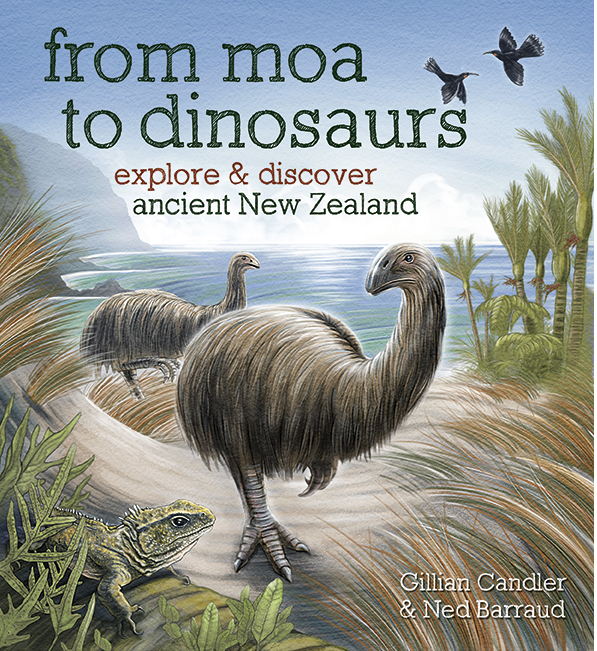 There is some truth to the Moa’s Ark idea – the animals that would have been on Zealandia when it began to split from Gondwana (starting around 80 million years ago) could well have included ancestors of tuatara, moa, weta, native frogs and fresh water animals. They would also have included dinosaurs and other animals that have since become extinct. Animals that were already ‘on board’ are said to have ‘vicariate’ origins. 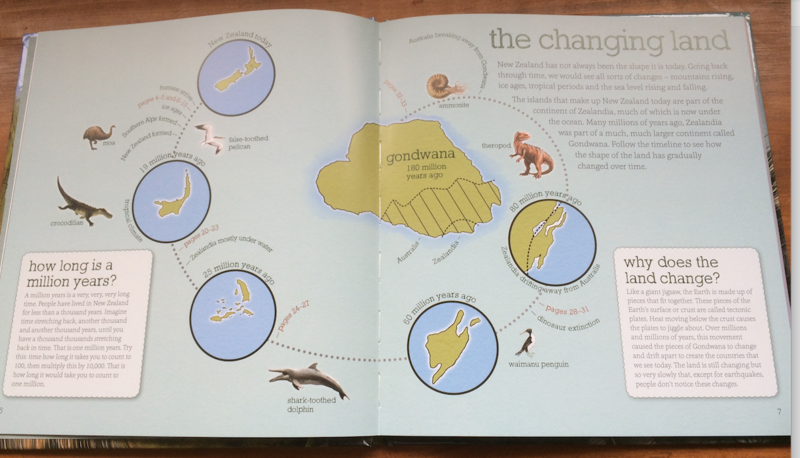 But many of the animals we think of as ‘New Zealanders’ arrived long after the split with Gondwana. Some would have flown (aided by winds) e.g. birds, bats, insects, others may have been carried here on rafts of vegetation after storms. Most would have come from Australia due to the prevailing winds, but some would have come from New Caledonia. Animals that arrived in this way have ‘divergent’ origins. Once in New Zealand if the animal was able to establish successfully they adapted to the environment, for example, the takahe becoming flightless, geckos giving birth to live young instead of eggs. Modern day examples of birds that have arrived in recent history, and successfully bred are: welcome swallows, spur-winged plovers, white herons, white-faced herons. Fossils have been found in what was a large lake in Otago around 19 million years ago, among the fossils are some that would be ancestors of today’s tuatara and geckos, but also of animals that are now extinct such as crocodilians, turtles and moa. 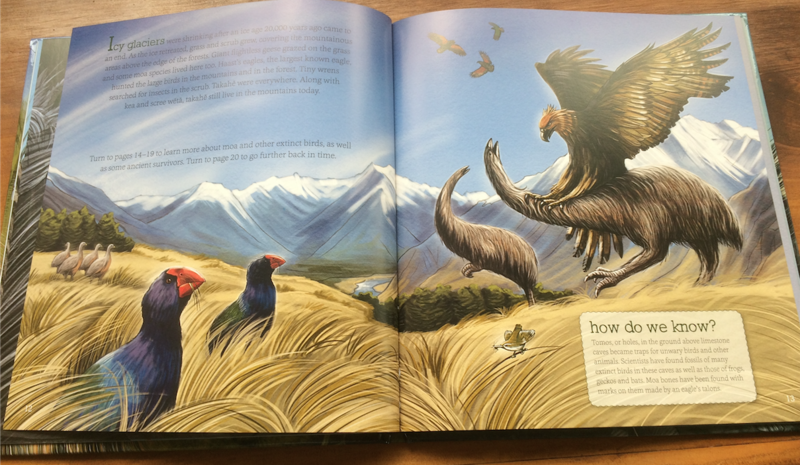 Scientists can use the extent of evolutionary changes to estimate when a species evolved, for example, around 60-80 million years ago kakapo and kaka evolved from the same parrot ancestor, then around 3 million years ago when mountain habitats emerged the kea evolved from kaka. The time frame of 60-80 million years suggests that either scenario of vicariance or divergence is possible for these birds. Zealandia is a continent, geological changes mean that most to this is now underwater. This means that much of the fossil evidence that would tell us more about animal (and plant) origins will never be found. Scientists have disproved the drowning theory and while they agree much of what is now New Zealand was underwater around 25 million years ago, it is accepted that many islands existed that would have been habitat for animals. The southern alps and therefore alpine regions, are relatively recent creations, being uplifted around 5 million years ago. During ice ages, around 2 million years ago, the North and South Islands would have been joined. How do we, the general public, keep up with advances in science? Popular media ignores the slow and steady progression of ideas that is characteristic of science. Instead a controversial theory, such as the whole country being underwater around 25 million years ago, grabs headlines but the slow and steady work of disproving this is unlikely to get the same coverage. The need for ‘new’ was highlighted by the recent flurry of news items about the ‘discovery of a new continent‘. Although the headline says ‘new’, read further down and you will find the scientists quoted as saying “this is not a sudden discovery but a gradual realisation”. I guess the headline ‘gradual realisation of continent’s existence’ just doesn’t work in the news media! Ultimately we can’t rely on news or popular media for keeping up with advances in knowledge, although it may be that a report or item can act as a springboard to us searching out and acquiring knowledge. Where we need to turn is to authors who are working hard to convey scientific ideas to the general public. 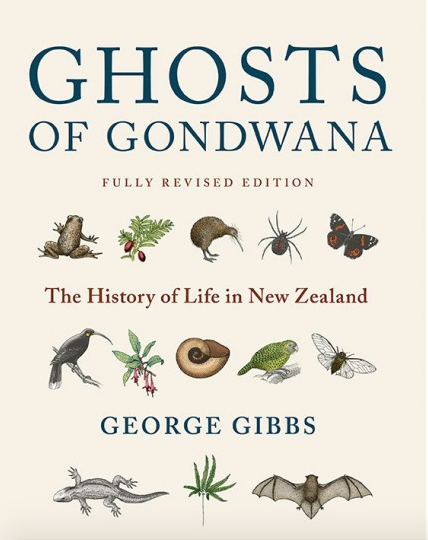 Ghosts of Gondwana: the history of life in New Zealand by George Gibbs. The revision includes more material so the book has got a whole lot bigger but don’t be put off by its size. There is so much here that is worth reading. I have to admit to a bias and say that reading the earlier edition of this book was what inspired me to consider writing a book about ancient New Zealand for children. So I was already aware that George Gibbs’s style is very readable, never patronising and always clear and to the point. I have enjoyed dipping into the revised edition to see what’s new. Section one gives a readable quick overview of the what is unique about our flora and fauna. Section two is more complex and gets into modern scientific methods. A rough understanding of these is essential to later explanations, and the author does a good job making this material accessible. Section three shows that there are many explanations for the history of different plants and animals, and includes a must read chapter for those who are puzzled by the drowning theory. Section four has fascinating case studies of selected fauna and flora from moa to alpine flowers to cicadas, each case study illustrating different points. A particular feature of the book is the extensive captions of each image which, while repeating material already in the chapter, help give meaning to the image and reinforce the points made. 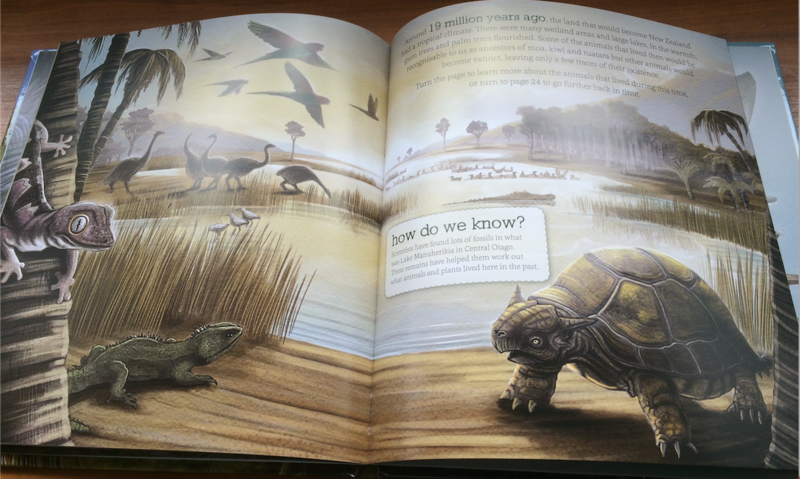 Also helpful is a Geological Timescale at the front and back of the book. I’m recommending Ghosts of Gondwana as a ‘must read’ for educators of today’s children and as a ‘good read’ for adults who have got intrigued by what they’ve learned from reading From Moa to Dinosaurs with children.